Just when you thought we were gearing up for a Santa Claus rally to close off what’s been an excruciatingly volatile year, the S&P 500 gets clobbered 3.3% in a single trading session while the NASDAQ took an uppercut to the chin, nearly falling by 4% to close the day. There’s volatility, extreme volatility, and then there’s this. If you timed the market by buying stocks after Fed Chair Jay Powell’s dovish commentary or Monday’s Trump Trade War Truce, your portfolio took a punch to the gut and you’re probably feeling like the markets are making zero sense right now…. Just when you thought we were gearing up for a Santa Claus rally to close off what’s been an excruciatingly volatile year, the S&P 500 gets clobbered 3.3% in a single trading session while the NASDAQ took an uppercut to the chin, nearly falling by 4% to close the day. There’s volatility, extreme volatility, and then there’s this. If you timed the market by buying stocks after Fed Chair Jay Powell’s dovish commentary or Monday’s Trump Trade War Truce, your portfolio took a punch to the gut and you’re probably feeling like the markets are making zero sense right now. You’re right about the markets not making sense. One day everybody’s bullish on a truce, the next day the truce falls apart, and the yield curve moves closer to inversion. I don’t know about you, but I think these market moves are enough to make the average retail investor sick to their stomach, especially the many young millennials who bought into the markets last year for the first time after last year’s smooth ride up. It seems unfair that beginner investors are among the ones left holding the bag as the markets are falling so hard, and so fast. And while these new investors likely gave into the FOMO (fear of missing out) due to the overly bullish commentary of folks on the street, the whole negative experience itself is nevertheless offers a very important lesson, one that beginners will never forget assuming the recent bout of volatility hasn’t caused them to give up on investing entirely. What lesson is there to be had? Don’t follow the herd and don’t try to time the market. Instead, tune out of those mainstream financial shows that will only serve to feed your negative emotions when the markets are retreating. The last thing you want to hear is a so-called pundit telling you to sell all your stocks because of his shallow, and likely wrong, near-term projection of where the markets are headed next. Surrender to the near-term market moves. Acknowledge that nobody knows where the markets are going over the short-term. Instead, think about the longer-term picture. Consider where we’re at in the market cycle, and make sure you’re prepared for a contingent event that could unexpectedly result in a sudden crash (think 1987). By going all-in on non-dividend-paying cyclical stocks in the late stages of a market cycle, your value at risk (VaR) is ridiculously high, and you may not even know it until it’s too late. While you can’t time the markets in the near-term, you can better position yourself for success by rebalancing your portfolio’s sector weightings to effectively get the most out of your beliefs of where we sit in the market cycle. Spoiler alert: we’re in the late stages of the market cycle. Everybody’s been fearing a yield curve inversion for over the past two years now! This isn’t news. If you insisted on being overweight cyclical names in spite of the evidence that’s suggestive of a market cycle that’s in the latter years of its life, you probably took a lot more damage than was necessary. The all-weather strategy entails ownership of quality dividend-paying stocks and securities that’ll better allow you to tame volatility as it inevitably comes along. As investors, we’re all idealists. We think the markets are going up. Otherwise, we wouldn’t buy stocks, to begin with! But the fact remains that the markets do go down, and they go down a heck of a lot faster than they go up! So, with that in mind, why wouldn’t you protect yourself? 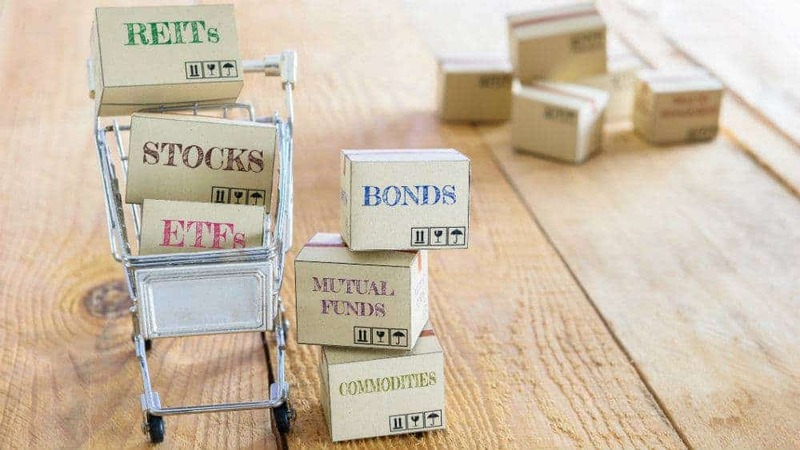 While constructing the ideal all-weather portfolio can be tough, Bank of Montreal (TSX:BMO)(NYSE:BMO) ETFs make it all too simple for those of us who instead want optimal asset allocation without the pain of commissions and excessive amounts of homework. As I’ve explained in previous pieces, BMO’s ETF department has been burning the midnight oil to provide Canadians with a means to get phenomenal investment portfolios at prices that I believe are more than fair. I’ve been pounding the table on most of BMO’s smart-active covered call and low volatility ETFs, which are must-owns for every investor who desires downside protection. If you’re a retiree looking for extra income, check out the covered call ETFs, and if you’re a millennial who wants to stay in the game but desires to tame volatility, a low volatility ETF is your horse.